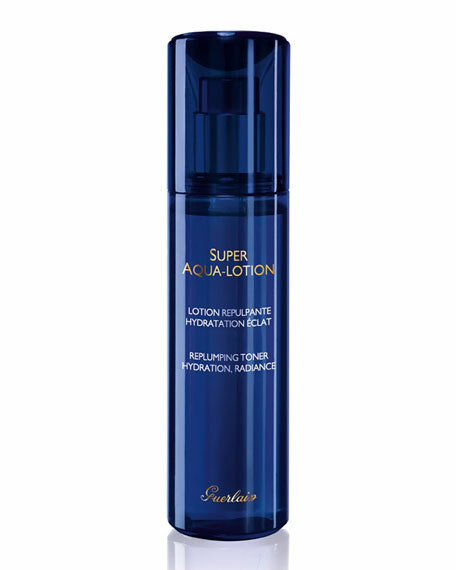 The Guerlain Super Aqua Toner is the first essential hydration step in the Super Aqua routine. This "beauty toner" reveals all the radiance of the complexion as soon as it is applied. The originality of its fresh and velvety texture provides incomparable softness and comfort, due to the new Aqua Complex. Intensely moisturized and fortified, the skin is left supple, plumped and visibly more luminous. For in-store inquiries, use sku #888206.